Despite its relatively well-understood role as a reproductive and pro-social peptide, oxytocin (OT) tells a more convoluted story in terms of its modulation of fear and anxiety. This nuanced story has been obscured by a great deal of research into the therapeutic applications of exogenous OT, driving more than 400 ongoing clinical trials. Drawing from animal models and human studies, we review the complex evidence concerning OT’s role in fear learning and anxiety, clarifying the existing confusion about modulation of fear versus anxiety. We discuss animal models and human studies demonstrating the prevailing role of OT in strengthening fear memory to a discrete signal or cue, which allows accurate and rapid threat detection that facilitates survival. We also review ostensibly contrasting behavioral studies that nonetheless provide compelling evidence of OT attenuating sustained contextual fear and anxiety-like behavior, arguing that these OT effects on the modulation of fear vs. anxiety are not mutually exclusive. To disambiguate how endogenous OT modulates fear and anxiety, an understudied area compared to exogenous OT, we survey behavioral studies utilizing OT receptor (OTR) antagonists. Based on emerging evidence about the role of OTR in rat dorsolateral bed nucleus of stria terminalis (BNST) and elsewhere, we postulate that OT plays a critical role in facilitating accurate discrimination between stimuli representing threat and safety. Supported by human studies, we demonstrate that OT uniquely facilitates adaptive fear but reduces maladaptive anxiety. 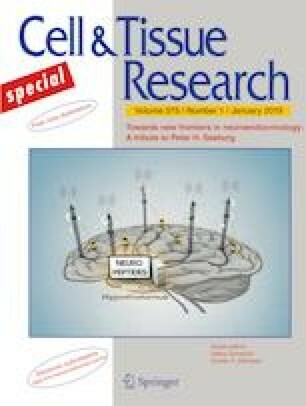 Last, we explore the limited literature on endogenous OT and its interaction with corticotropin-releasing factor (CRF) with a special emphasis on the dorsolateral BNST, which may hold the key to the neurobiology of phasic fear and sustained anxiety. We thank Rachyl Shanker, CMS’20 from the Dabrowska Lab for the image of PKC-STEP double-immunolabeling in the BNSTdl. This manuscript was supported by the grant from the National Institute of Mental Health R01MH113007 to JD, a DePaul-RFUMS seed research grant to JD, as well as start-up funds from the Chicago Medical School, Rosalind Franklin University of Medicine and Science to JD.